I have wrote in an older post ( http://msprogrammer.serviciipeweb.ro/2010/06/28/ef-automatic-history-of-table-and-t4-files-tt-files/ ) how to generate history code for tables . The easy solution was to create a tt file that track for the ObjectContext the SaveChanges for each table that has a “history” in name. the limitation is that , when you raise an sql command such as “update table ” you must load from database a lot of rows for this…. Now I want to show the same thing, but generating triggers in database for that ! I start also from edmx file and with a template stealed from http://forums.asp.net/p/1599616/4083198.aspx ( to have type of fields in the database ) and another stealed and modified from StackOverflow(to generate trigger for after insert , update, delete) I manage to have a solution to generate sql tables and trigger code. When is that good ?At the beginning stages of a project when the table structure changes by adding a new parameter. Anyway, what you have to do to use this automatically generated history/audit for tables ? from historysql.tt to your edmx name. Then take the generated code and execute in sql server. Sometimes you must find information in text files. Many,many text files, like IIS logs or other custom non-regular formats. I have a bot from http://www.imified.com/ – and I log the messages with log4net in text files, with another messages. And there are multiple log files that I want to parse and find the email adresses to collect feedback from those persons that use my bot. Select Text into a.csv from current* where Text like ‘%@%’ –means find in files that begin with current(current*) all text that contains emails ( ‘%@%’) and put in file a.csv the results. What can be more simple ? Next time I will show the using Powershell in combination with LogParser. First, let’s say we have Employee and Department. And we have Employee that has a field, named IDDepartment. When edit/create a user we want to display a dropdownlist for Department in order for the user to choose the department. Step 1 : obtain from database a list of departments and transform into List<KeyValuePair<string,string>> – where the first string is DepartmentID and the second is Department Name. In every application you have some data that is more read-more, write-once or twice. For example you can have the list of Cities of a country, the list of Countries of the world or list of exchange currency. This data is modified rarely. Also, you can have data that is not very sensitive to be real-time , such as the list of invoices for the day. What it is missing is an easy implementation for List and an implementation to remove data after a defined time. I will show how to transform a NUnit test into an BDD – NBehave test. Step 1 : Read http://onegeekwithalife.blogspot.com/2009/11/booting-from-cloned-vhd-in-win7.html and confirm you have administrative rights to run programs. 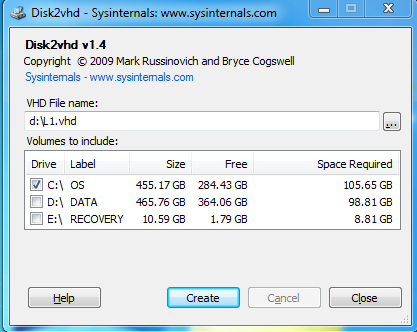 Step 4 : Attach the VHD file in the DiskManagement, make online, delete raw volumes and shrink hard disk. Detach VHD. 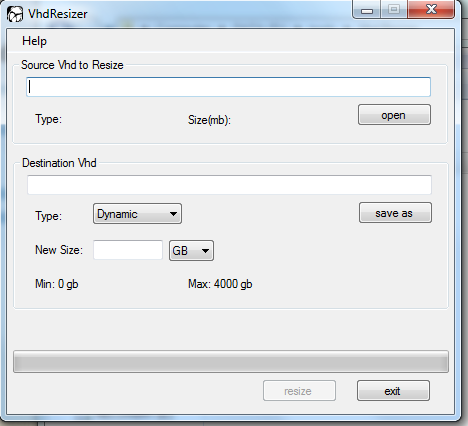 Step 5: Run VHD Resizer with selected VHD. Step 6: Run BcdVHD in order to add this VHD to the boot configuration. Step 10: Congratulations, you have a full VHD system to boot that is running now!